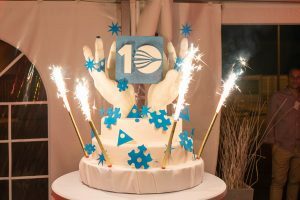 10 years of passion and innovation! The agenda has starded with the presentation to our distributors of the new ChefCut and its new programing software ChefCut Office. 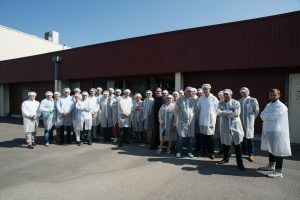 After, more than 30 perticipants got the chance to discover the Fabrice Gillotte’s lab (MOF Chocolatier in Dijon and owner of a ChefCut for 4 years). The visit of our workshop were the occasion for all the perticipants to discover our various technolgies for the foodmarket and the others industries as weel, spacially the Aerospace industry, measuring our growth since the HYDROPROCESS birth in 2006. Finally, Everybody were happy to fruit the cocktail made by Jean-Paul Pignol (MOF pâtissier, major caterer in the Lyon area, (a ChefCut owner too), a day very rich in terms of relationships between all the perticipants.